Is My Son Really in Recovery if He's Taking Suboxone? Is My Son Really in Recovery if He's Taking Suboxone? Is My Son Really in Recovery if He's Taking Suboxone? It’s wonderful that your son has been able to get his life back on track, as it can take many exposures to treatment, medications, lifestyle changes and family support to manage an opioid use disorder. As for recovery, it looks different for every person. Some people, like your son, use medications as part of their recovery program while others don’t. Suboxone (a brand name for Buprenorphine) and other forms of medication-assisted treatment, like methadone and Vivitrol (a brand name for Naltrexone), are overwhelmingly supported by medical and behavioral health groups. These include the American Society of Addiction Medicine, the National Council of Behavioral Health and the U.S. Surgeon General as well as many treatment centers and support groups. A person who takes these medications as directed under the care of a physician is like a patient who takes medication to treat any other disease (like diabetes or heart disease). When used in conjunction with comprehensive therapy and support groups or other forms of treatment, MAT increases the rate of success. It can be confusing that while MAT can help your child’s recovery, it’s still controversial. MAT is controversial because some treatment programs and support groups define “success” as total abstinence from these medications as well as all drugs and alcohol. While this may be a realistic approach and a goal for some, many people, especially those who have struggled with heroin and other opioids, need medication as part of a comprehensive recovery plan. It’s the same with diabetes. Some people can manage their disease using diet and exercise while others need medication to stay healthy. Bottom Line: Look at the big picture of your child’s life. You know your kid. You know when he’s doing okay and when he’s not. There are many opinions out there and part of self-care is taking others’ opinions with a “grain of salt.” So, how is your kid doing these days now that he is not actively using substances? Is he contributing to society in some way by attending school, volunteering or working? How are his current lifestyle and habits in general? Is he taking better care of himself? Is he attending support group meetings or getting some form of ongoing support or counseling? 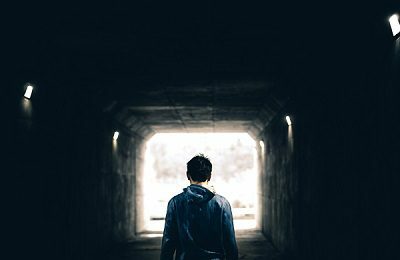 If he’s no longer misusing the substance that was getting him into chronic trouble and threatening his health — and his life — then perhaps you will decide that Suboxone is helping him function more normally again. At the end of the day, “recovery” is a subjective term. It means something different for each and every person. Find people who are supportive of MAT. Talk with them regularly and support one another. In the meantime, treat the opinions of others lightly and rely on your own instincts when it comes to your child. 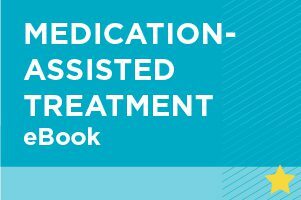 Has your son or daughter used medication-assisted treatment? Have you encountered people who don’t believe he or she is in recovery? Please share your experiences in the comment section below. My son is 27 years old. He has done every drug known. He has stolen, went to jail, and that was when he was placed on Suboxone to help. I can honestly say that it helped him. It controlled his craving for other drugs as well as approved his personality. He worked as a welder for two years. (this was what I thought) He was actually using the prescription and buying more off the streets! He was over-medicating on Suboxone as well. He went through a breakup with a girl and relapsed using ICE.. mixed with Suboxone that played part in his recent heart attack! I want him clean of all drugs but the sad thing is that it is NOT my choice but it is HIS! Family suffers more than anyone knows. Not only mentally but financial! Suboxone are not covered under insurance and are very expensive! What do you think these guys do when they cant afford Subxone? I’m feeling as lost as others. Rehab was a disappointment and my expectations were set high only to see my husband come out of rehab on the very drug he was illegally buying from other Suboxone users. I warned the rehab facility and was promised he would only be on it to get him thru withdrawal. Now he is being placed on maintenance – you guessed it – with suboxone. I dont want to be married to someone who is using any kind of controversial drug and I also do not like that all of these quasi-certification organizations boast of its success. Recovery is HARD – on both the user and the loved ones who are forced into that world. This appears to be band-aiding the problem – sweeping the webs instead of killing the spider. And now I am told I have to walk on egg-shells because he could relapse. How is that overcoming addiction? I get the reference to diabetes but that normalizes addiction. I dont of anyone who has stolen, lied, cheated, manipulated because they were diabetic. Shouldnt a spouse or parents be consulted before placing a loved one on these controversial drugs? Why would they not involve those who have to provide the aftercare? I have to believe if someone WANTS to change their life then they can – it is never easy for any of us – but changing the drug of choice is not success to me. I am angry a “rehab” facility would be driven by their idea of success as opposed to the reality. Going to rehab as though it were a vacation resort does not appear to me as a viable solution. And where do WE get help – we have to recover too – and Al-Anon doesnt cut it. Where are other families who are trying to recover and learn to trust again and do you have any hope of knowing what normal is? Thanks for your message B Horow. We have forwarded your message to one of our helpline specialists who can help better answer your question, and she will be reaching out to you shortly. Thank you all for sharing… My son has been struggling to get well..over 2 years .. But refused a mentor and said out patient depressed him more and led him only to other addicts who were as “weak” as he was. I feel I’m failing him..this will be his 6th time in detox and suboxone seems to make him as sick as heroin. He sleeps all day wakes and apologizes to me. I feel like we are both dying. Now we are told the program is changing and were almost rendered to a meth clinic….we have private insurance. I feel like I’m in a race I’m sorely losing. Where do I get all the help you have. What state ate you in?…. Please help . my son was an artist, a mechanic, a dog lover, a friend, a brother, a joyful person till a party and girl led him this way.. The social worker at an hour away detox only asks how we’re doing no matter how much worry I share. The doctors says there’s only meth subs and control. And I can’t afford the psychiatrist copays. Granted, that was before the internet was such a robust resource. But my concern with methadone in particluar is that you’re in regular contact with “those people,” and it’s too easy to trip up on a rough day. I’m less familiar with subuxone and vivitrol, and whether they have to be as carefully doled out to prevent misuse. If they don’t, the comparison to meds for other chronic diseases is more valid. In the end, yes we will probably find out these meds have long term side effects we hadn’t considered. They’re still better than an OD. If they provide a step in the right direction and help people become productive members of society, I’m all for them. My loved one, who takes Zubsolve, is working, enjoying his life clean & pursuing his passions. He has pretty much left behind all things from his life while in active addiction. Things like stealing, lying, living put of his car, panhandling… He and I connect and communicate again. All the anger he once had is not present any longer. He goes to individual & group counseling. He has a treatment team for his addiction. 2 Drs, a nurse, social worker, psychiatrist and a community health worker. His insurance covers all of this care. To be completely honest, I am filled with gratitude just because he is alive and off opiates. Everything else is icing on the cake. I got my loved one back. I pray he will always have affordable coverage for his addiction & mental health needs. And I support him continuing on MAT as long as his team & he believe it necessary.